In Wittmer v. Phillips 66 Company, the Fifth Court of Appeals affirmed a trial court’s summary judgment in favor of Phillips 66 on a claim of employment discrimination based on transgender status. 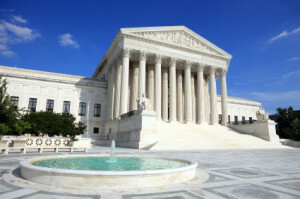 While affirming the judgment for the employer, the Court wrote to reject the district court’s summary conclusion that Title VII prohibited employment discrimination on the basis of transgender status. In affirming the trial court’s judgment, the appeals court expressly rejected the district court’s summary holding that Title VII prohibits employment discrimination based on transgender status because the court did not address binding Fifth Circuit precedent holding that Title VII does not prohibit sexual orientation discrimination nor distinguish the Wittmer case from that precedent. Wittmer leaves open the possibility that a federal court in the Fifth Circuit might properly hold that Title VII prohibits transgender employment discrimination so long as the court distinguishes the binding precedent in this Circuit holding that Title VII does not prohibit sexual orientation discrimination (i.e., that Title VII prohibits transgender discrimination but not sexual orientation). In a 9-2 vote, the San Antonio City Council voted to require private employers doing business in San Antonio to provide one hour of paid sick leave to employees for every 30 hours worked. The ordinance allows employees to accrue between 48 and 64 hours of paid sick leave to be used if the employee or the employee’s family member is sick or injured; is a victim of stalking, domestic abuse or sexual assault; or otherwise require medical, mental or preventive care. San Antonio’s ordinance is scheduled to take effect on August 1, 2019 but employers with five or fewer employees will have until 2021 to comply. Earlier this year, the City of Austin passed the first local ordinance requiring employers in Austin to provide paid sick leave to its employees. The law was scheduled to take effect on October 1, 2018. Late last week, the Austin Court of Appeals issued a temporary stay of the ordinance while the Texas Association of Business’ interlocutory appeal of the trial court’s denial of an application for temporary injunction is heard. This will likely stay enforcement of the ordinance for several months and could extend past the October 1, 2018 effective date. Meanwhile, San Antonio recently passed a similar sick pay ordinance. The Texas Legislature is likely to consider bills prohibiting local municipalities from passing such ordinances when it convenes in Summer 2019. The Court’s order can be downloaded here. I’m traveling for work this week but today’s Supreme Court opinion is one I have been waiting for all term. In Epic Systems v. Lewis, the Court held that arbitration agreements between employees and employers that require mandatory arbitration of disputes can also require that all disputes be arbitrated individually and not as a class or collection action. The impact of this case is significant in managing potential claims arising under the Fair Labor Standards Act and Fair Credit Reporting Act. More on this case later. In Texas, absent a valid noncompete, an at-will employee is generally free to compete with the former employer so long as the employee does not take or use the company’s confidential information or trade secrets. Notwithstanding this general rule, employees also have common law fiduciary duties that limit what activities they can engage in prior to resigning employment. The level of fiduciary duty owed to the company will depend on the duties and responsibilities of the employee and the position within the company. Employees may generally make preparations to compete while still employed by a company but cannot actively compete while still employed. What constitutes preparing to compete versus actively competing can often be a blurry line. A recent case from the El Paso Court of Appeals helps to bring the line into focus. In Salas v. Total Air Services, LLC, Salas was employed as a crew manager who was responsible to supervising a crew, obtaining city required permits, getting inspections completed by the city, installing air-conditioning systems and occasionally delivering bids to potential customers. He was a nonmanagerial, salaried employee who was the highest paid employee in the company. During his employment with Total Air, Salas submitted an application for an HVAC license to the Texas Department of Licensing in the name of Iceland Refrigeration. He also filed assumed name certificates with the county clerk for Iceland. Importantly, while employed with Total Air, Salas installed several air conditioning systems for customers collecting tens of thousands of dollars. These jobs included several jobs that Total Air bid on, but was not awarded. Salas never disclosed to his employer that he intended to go into business for himself or that he was in business for himself while employed with Total Air. Using the employer’s funds or employees for personal gain. Applying these rules to the facts presented to the jury, the court easily affirmed the judgment that Salas violated his fiduciary duty to Total Air. What Salas teaches is that any employee considering leaving his or her present employer to start a competing business must take steps to avoid crossing the line from permissible preparations to compete to breaching a fiduciary duty owned to the employer. You can read the entire opinion in Salas v. Total Air Services, LLC here. This month the City of Austin passed the State’s first municipal paid sick leave ordinance requiring private employers to provide earned sick time to employees. Beginning on October 1, 2018 (and October 1, 2020 for employers with five or fewer employees), employers with employees working in the City of Austin must provide employees with earned sick time. The new law will eventually apply to employers of all sizes who pay an employee to perform work and exercise control over the employee’s wages, hours and working conditions. This includes non-profit organizations and temporary or employment agencies. The law does not apply to unpaid interns or independent contractors and governmental entities. The ordinance requires covered employers to provide one hour of earned sick time for every 30 hours worked for the employer in the City of Austin. The accruals begin upon the later of the commencement of employment or the effective date of the ordinance. need to seek medical attention, relocation, or to obtain services from a victim services organization (or participate in legal proceedings or court ordered action related to an incident of victimization from domestic abuse, sexual assault, or stalking involving the employee or employee’s family member. Generally, an employee must make a timely request to use earned sick time before his or her scheduled work time. However, an employer may not prevent an employee from using earned sick time for an unforseen covered absence. Additionally, employers may adopt reasonable verification procedures to establish that the employee’s request of earned sick leave is for a covered reason if the request is for more than three consecutive working days. The annual cap on accrued paid sick leave is 64 hours for employers with more than 15 employees and 48 hours for employer with 15 or fewer employees. Employers are not required to provide more earned sick leave in a calendar year than the applicable annual cap and are not required to allow an employee to use earned sick time on more than eight days in a calendar year. All accrued by unused paid leave is carried over from year to year except for employers than make the annual cap available to the employee at the beginning of each year need not carry over earned sick time to the following year. Accrued but unused earned sick leave is not expressly required to be paid out on termination of employment. Employers must provide monthly statements to employees (electronically or in writing) showing the amount of an employee’s available earned sick leave and must make and maintain records of the amount of earned sick time earned and used by employees. Employers with employee handbooks must include a notice of employee rights and remedies under the ordinance in the handbook and must also display signage in conspicuous places where employee notices are customarily posted describing the requirements of the ordinance. These postings must be in languages appropriate for the employer’s workforce. The law also prohibits retaliation against employee who request or use earned sick time or who participate in complaints made to the Austin agency that enforce the ordinance. Enforcement of the new law is done through the City of Austin Equal Employment Opportunity/Fair Housing Office. The Office has the authority to investigate complaints, subpoena documents and assess civil penalties up to $500 for each violation. Complaints must be filed within two years from the date of the violation. No private right of action is created by the ordinance and it contains no criminal penalties for violation of its substantive provision although it is a Class C misdemeanor to refuse to comply with a valid subpoena. A full copy of the ordinance can be accessed here. The extent to which the intern and the employer clearly understand that there is no expectation of compensation. A promise of compensation, express or implied, suggests that the intern is an employee—and vice versa. The analysis remains a fact specific inquiry and is intended to be a flexible test. You can review the DOL’s Fact Sheet on internship programs here.